This leather log carrier in a patchwork design sets a masculine tone for your fireplace or woodstove. 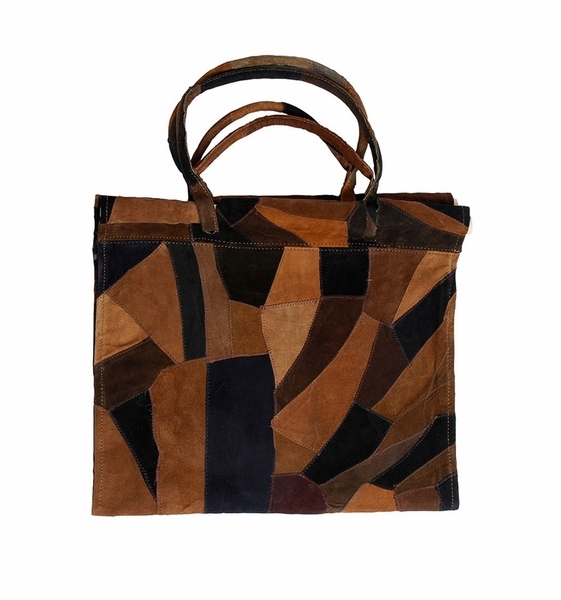 Crafted in a multitude of leather pieces sewn together in rich brown tones, this handsome log carrier is striking with its great looks while transporting logs with ease. It keeps a stash of wood neatly organized and handy by the fire. Minuteman products are always made of high quality materials that will last a long time. It would make a great tote for carrying other items as well. Think of it as a multi-use carryall. It measures 26 inches by 28 inches and is available in other styles and colors as well.